Eloise Morgan – age 81 of Polo, MO passed away Thursday morning, February 22nd, 2018 at home, surrounded by her loving family. She was born on September 22nd, 1936 the daughter of Cecil J. and Sarah Edith (Miller) Hogan in Leeton, MO. Eloise had lived in Polo since childhood. She was a 1954 graduate of Polo High School. On June 5th, 1955 she was united in marriage to her high school sweetheart, James Laurence Morgan at the Methodist Church in Polo. To this union two children were born. Eloise drove bus #26 for the Polo School district from 1976 until her retirement in 2005. She also worked as a waitress, owned M & M Spreading with her husband, was a homemaker and clerk for the city of Polo. She also worked as a cook at the Caldwell County Nutrition Center for many years. Eloise was a member of the Knoxville Community Church in Rayville, MO. She was energetic, independent and had a zest for life. Eloise enjoyed gardening and farming. She was the friendliest and most helpful person you would meet. She will be dearly missed by all who knew her. Mrs. Morgan was preceded in death by her husband James, parents, brother John Cecil Hogan and an infant brother. Before Eloise’s mother, Edith passed away in 1948, she asked her good friend and neighbor Laurine Stone to always keep ribbons in Eloise's hair. This promise grew to a lifelong relationship in which Laurine taught Eloise how to be a Christian wife and mother, a strong and independent lady, and a good friend to many. After the passing of her husband James in 2006 she had 12 more years spent with family and many, many friends. 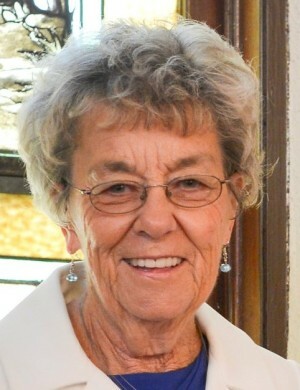 Those left to mourn her passing include: daughter, Kim (Dennis) Snodgrass of Polo, MO; son, Kevin (Gwen) Morgan of Polo, MO; grandson, Phillip (Ashley) Snodgrass of Higginsville, MO; grandson, Justin (Shannon) Morgan of Shiloh, Ill; granddaughter, Megan (Frankie) Banhart of Kansas City, MO; grandson, Jon (Cassie) Morgan of Polo, MO; grandson, Lance (Julie) Snodgrass of Urbana, Ill; 4 great-grandchildren and many dear friends. Pallbearers: Justin Morgan, Jon Morgan, Phillip Snodgrass, Lance Snodgrass, Mark Morgan and Kendall Morgan.